Happy February! I know, it has been awhile. I have been having so much fun in my classroom, but I have not been doing an amazing job at sharing those ideas with you all. That is all about to change though. I am linking up with a group of Kindergarten Teachers for an I Teach K Linky. We all of amazing FREEBIES to share with you. I have a fabulous little FREEBIE to share with you all today. By the end of Kindergarten, students are expected to fluently add and subtract within 5. We started working on this standard in small groups before Winter Break, but now it is a DAILY MATH CENTER. I have several different games for working on Making 5, but we all know, Kindergarteners get bored of playing the same game. 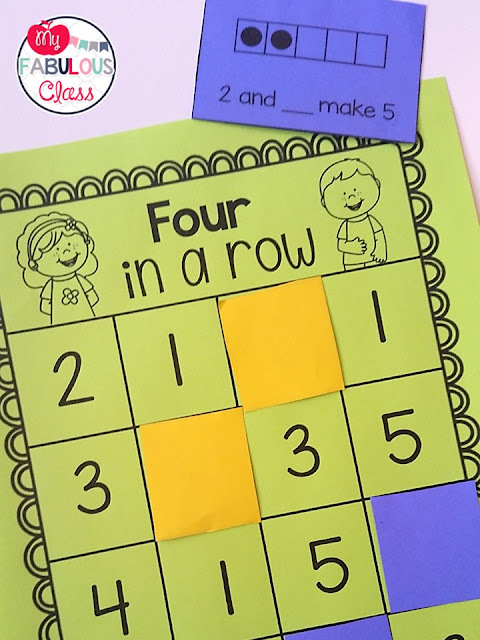 I created this easy to play Four in a Row Game. 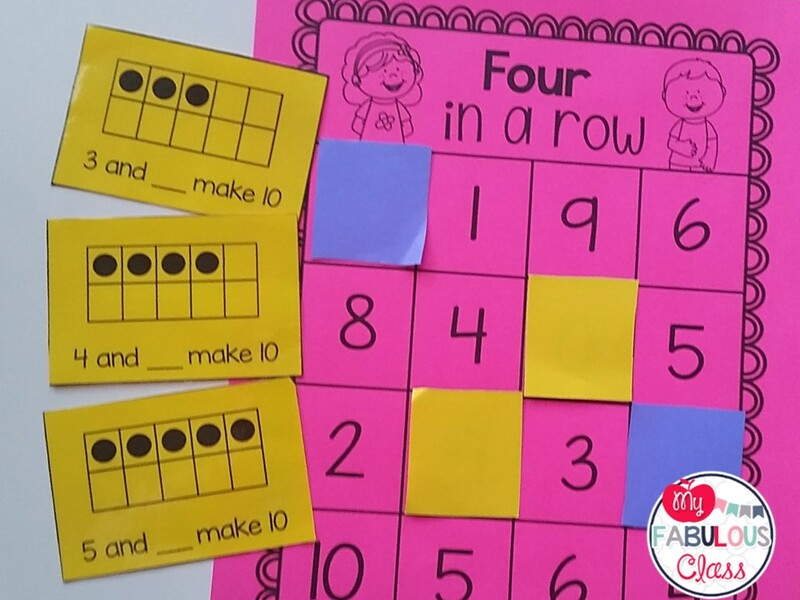 Students turn over a five frame card and determine how many more they need to make 5. Then, they cover that number space. Whoever gets Four in a Row first wins. 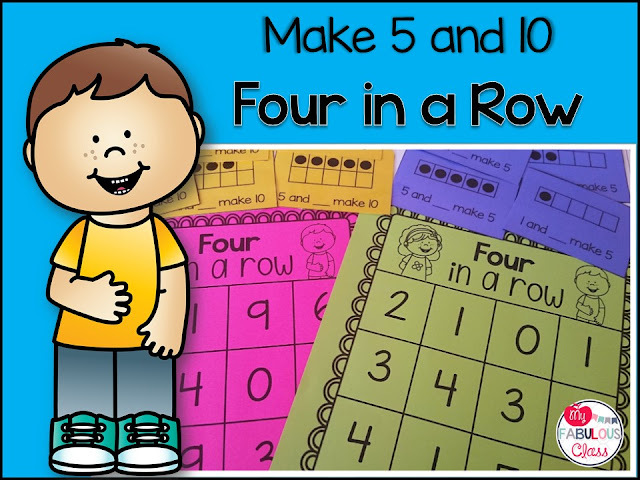 Like many of you, I have Kindergarten students who have already mastered how to Make 5, so also included Make Ten. This game is easy to prep and it is an ink saver. You can print it out in black and white on any colored paper you may have. You just need to cut the Make 5/Make 10 cards and cut out the squares to cover. You can grab this FABULOUS FREEBIE in HERE. Please let me know what you think. Ready to see what else is happening in the I Teach Kinder Party? Check out all of these other amazing blog posts.